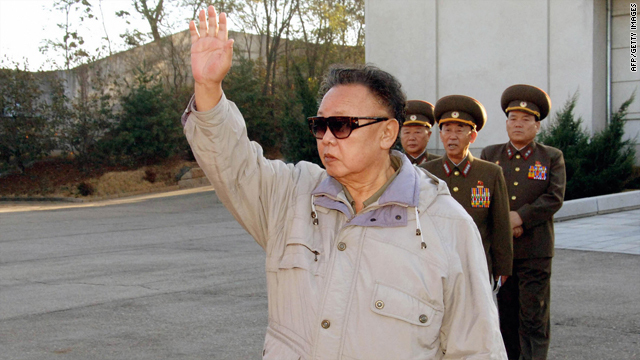 Kim Jong Il, seen in this undated photo, is making an "unofficial" visit to China. Beijing, China (CNN) -- Leader Kim Jong Il said North Korea remains committed to a nuclear-free Korean peninsula after meetings with Chinese President Hu Jintao, state media reported Friday. "The two leaders said that the peace, stability, prosperity on the Korean Peninsula is in line with common interests of China, [North Korea] and the Northeast Asian countries, and the two sides will make joint efforts for denuclearization on the Korean Peninsular in accordance with the September 19 joint statement in 2005," China's Xinhua news agency reported. "The two leaders said that the relevant parties in the six-party talks should demonstrate sincerity and make positive efforts for pushing forward the six-party talks." Kim held talks with Hu in Beijing this week during a visit that began Monday and concluded Friday. Kim's trip to China comes as North Korea is seeking a conditional return to the six-party talks, South Korea's Yonhap news agency said, citing the terms as a peace treaty with the United States to end what North Korea considers a state of war on the Korean Peninsula, and the lifting of U.N. sanctions against North Korea. Kim said Pyongyang will work with China to create favorable conditions for restarting the talks. The trip came amid increasing speculation that North Korea may have attacked a South Korean warship that sank in March, killing dozens of sailors. Seoul is demanding answers in the probe into the sinking before six-party talks can resume.